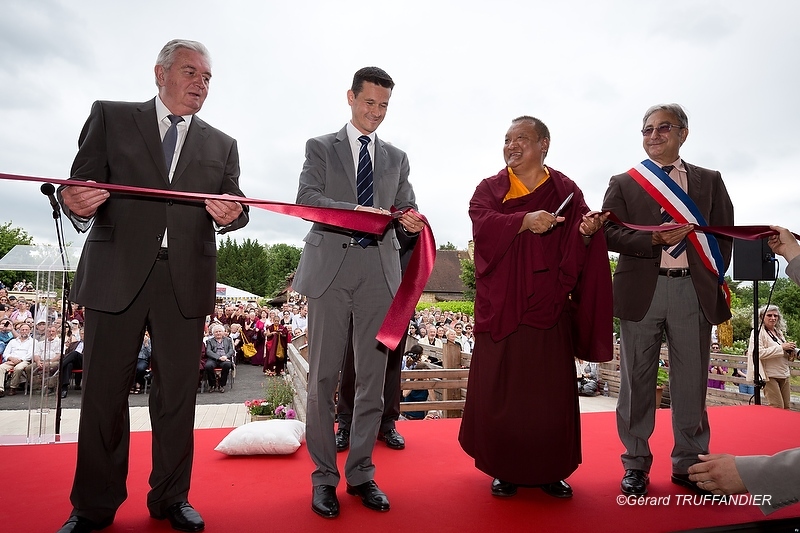 Thursday, June 13, 2013, the Institute was opened by Kunzig Shamar Rinpoche with a ritual of consecration and the traditional ribbon cutting ceremony attended by representatives of the State and local authorities, as well as Catholic, Protestant, Orthodox, and representatives of other Buddhist traditions. 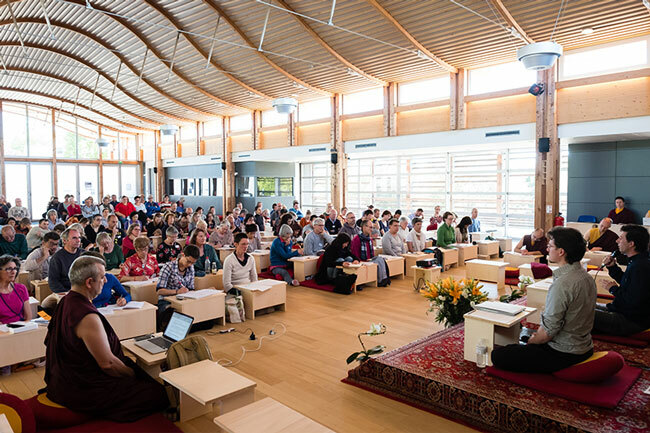 Several thousands of people from around the world came to attend the teachings, lectures, meditations, as well as various workshops during these 4 days. 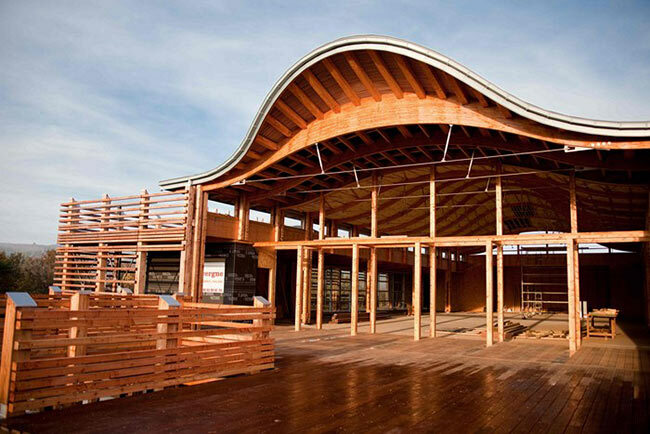 The interactive art installation, concerts and dances were greatly appreciated. 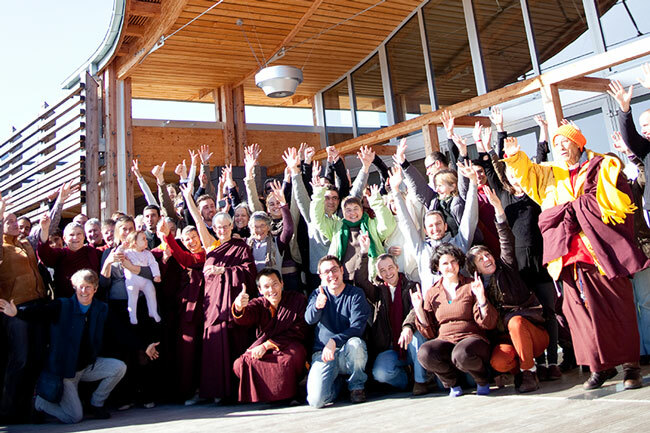 Guided tours of the Dhagpo Kagyu Library were a great success! More than 1,900 people attended the extensive Gyalwa Gyamtso Empoweremennt conferred by Kunzik Shamar Rinpoche on June 15 and 16. 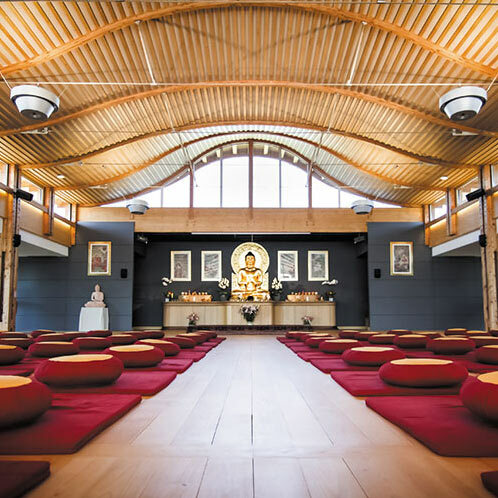 We wish for this new building to welcome all those who desire to deepen their knowledge of the functioning of the mind, the body, and the world—be it through teachings, the study of texts, or profound research.